The Malala Fund supports the education of girls and advocates for the right of girls throughout the world to obtain a free, safe, and quality education for twelve years. It is our "Principles In Action" recipient for the month of January. It is led by Malala Yousafzai, winner of the Nobel Peace Prize. Malala was born in 1997 and grew up in the Swat Valley District in Pakistan. At age twelve, she began writing a blog about the importance of education for girls and her fears that schools would be shut down. Like her father, she loved school and was passionate about education. She received Pakistan’s First National Youth Peace Prize in 2011. Her growing influence was recognized by the Taliban and she was put on a “kill” list. In 2012 when she was just 15 years old, Malala was shot by the Taliban on her way home from school. Remarkably, she recovered after a long hospitalization in Birmingham England where she and her family now live. 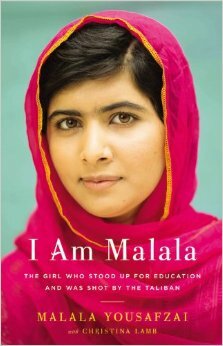 Her voice was not silenced and she has gone on to found and lead the Malala Fund and to write the book, I Am Malala. were not previously able to attend school.